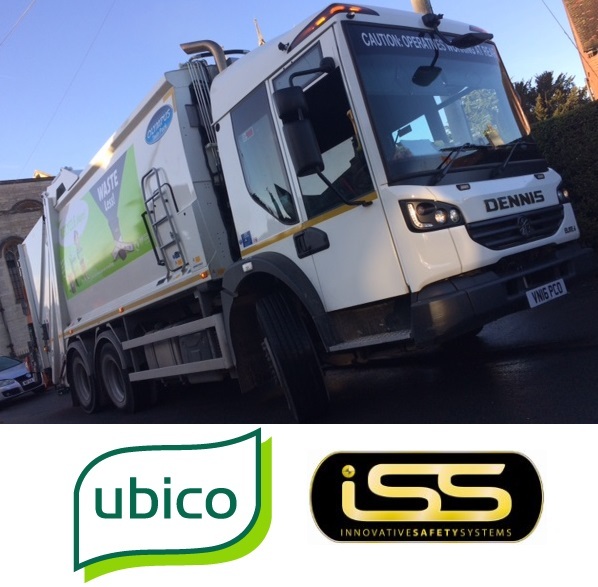 Cheltenham-based environmental services provider, Ubico, is installing four-way camera recording equipment and reverse radars from Innovative Safety Systems Ltd (ISS) to over 40 refuse vehicles and the technology will form part of the company’s future vehicle specifications. The ISS RX3 hard disk recording system is easy to install and comes complete with high-resolution infrared cameras, state of the art monitors and protective lockable housing. Embedded features include speed, XYZ acceleration and GPS positioning. ISS’ reverse radar is programmable with multiple settings and ranges. It detects both moving and stationary objects without requiring a closing distance. Ubico also plans to use the ISS LANlink remote footage download facility when all of its depots are fully up and running. This will enable all recorded footage to be downloaded automatically each time a vehicle returns to the depot. Gavin Thoday, Director, ISS said: “We invest a lot of time researching, designing and engineering products that work effectively in this challenging environment. We are grateful that our efforts don’t go unnoticed. We are delighted to be Ubico’s vehicle safety technology partner.